And the Knotty goes to…. view the 3 categories below and submit your vote! Hard Maple all made up. This maple was hand-scraped and then smoothed by hand with high grit sandpaper. The edges were then beveled by hand and sanded for a softening effect. Lastly, a light coffee stain was applied before being lacquered with 7 coats of finish. White Oak all made up. These 7 1/2" wide white oak planks were wire-brushed twice before going through the fuming process. 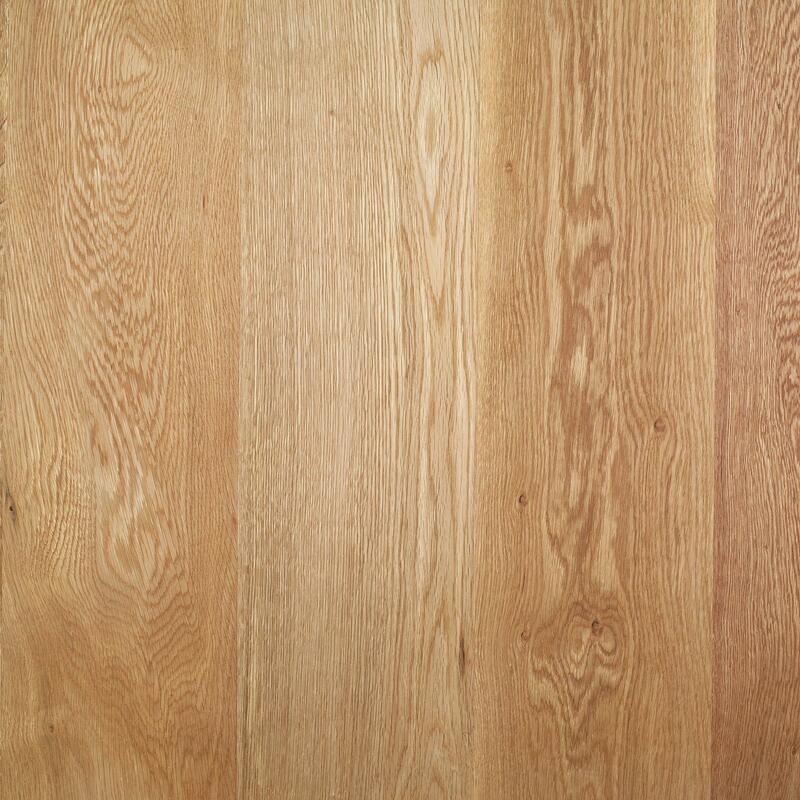 In the tradition of Stickley, Limbert and Roycroft, the white oak is exposed to ammonia which reacts with the tannins in the wood and darkens in appearance. 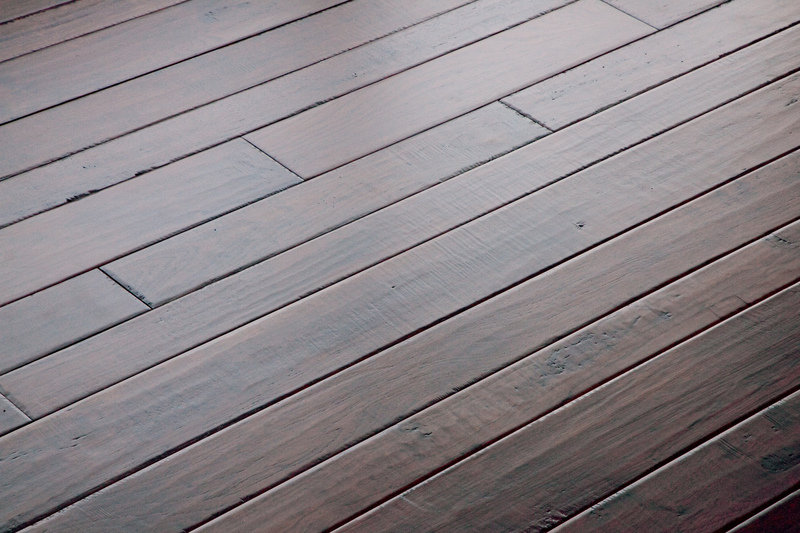 Notice the sapwood of the planks, which contains less tannin, reacts less than the darker heartwood. These planks were then finished with 5 coats of hard-wax oil. Hickory all made up. These hickory planks were hand-sculpted and sanded, then hand beveled and dual stained coffee/rosewood before being finished with 7 coats of polyurethane. 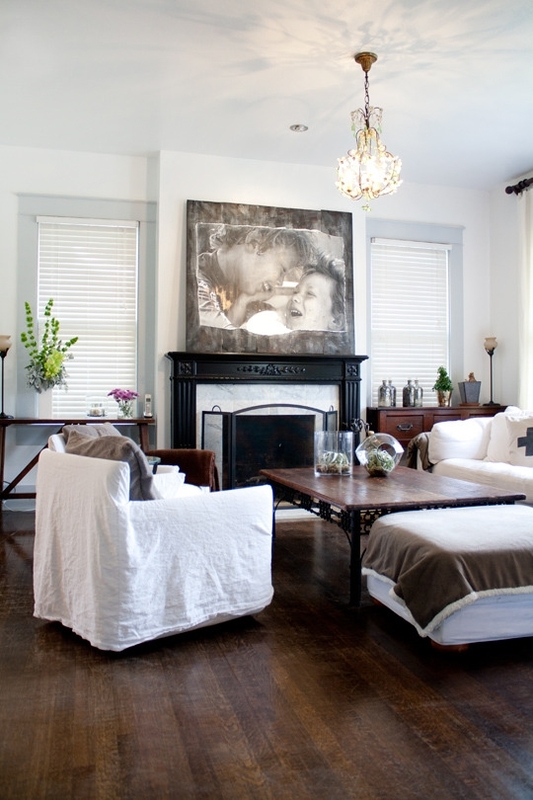 From the Jan issue 2012 of Rue Magazine, these 2 1/4" Select & Better Red Oak floors are a great supporting visual element to this fantastic space. 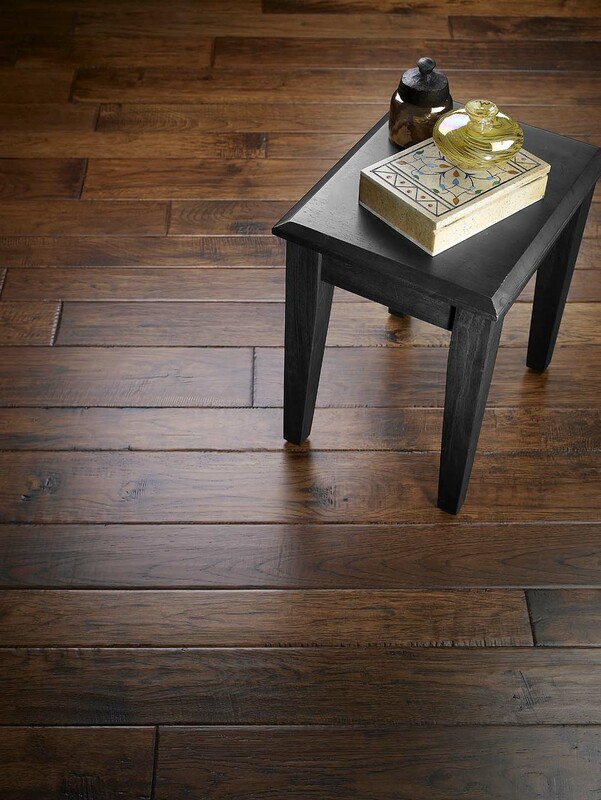 These 5" Character white oak planks provide a great rustic base for this interior from Sarah Richardson Design. Not to be outdone by a fantastic heart pine ceiling, these red oak planks gracefully play a supporting role in this great kitchen. Most floors would be intimidated to work side-by-side with hardwood royalty like this walnut table, but in its second nomination in this category, 2 1/4" red oak literally supports this incredible walnut slab table in a recent designsponge.com post. Dressed in a coffee/ebony stain these white oak floors ground the entire scene in this setting from apartmenttherapy.com feature Shannon's Soothing Mix of Styles. 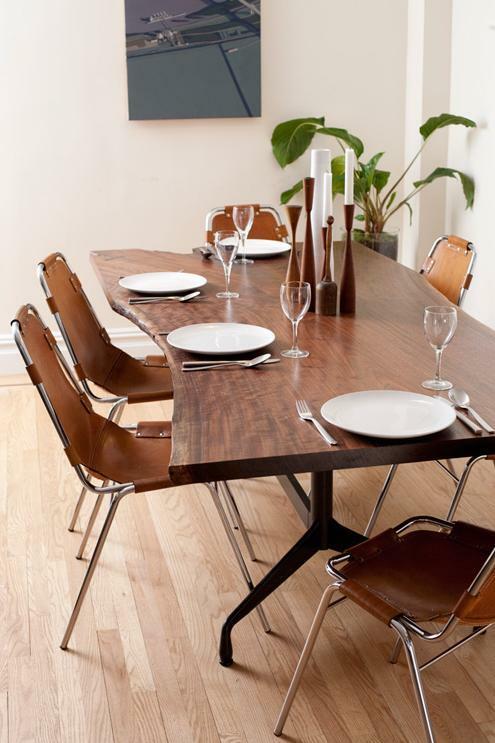 These select walnut floors steal the show in this setting from freshome.com. 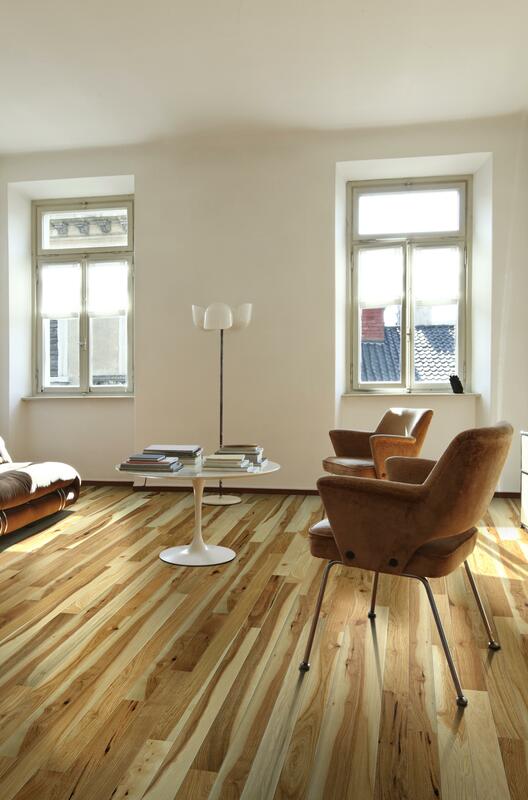 Wide and long planks show all the true character of the timber and provide a striking visual to this interior. 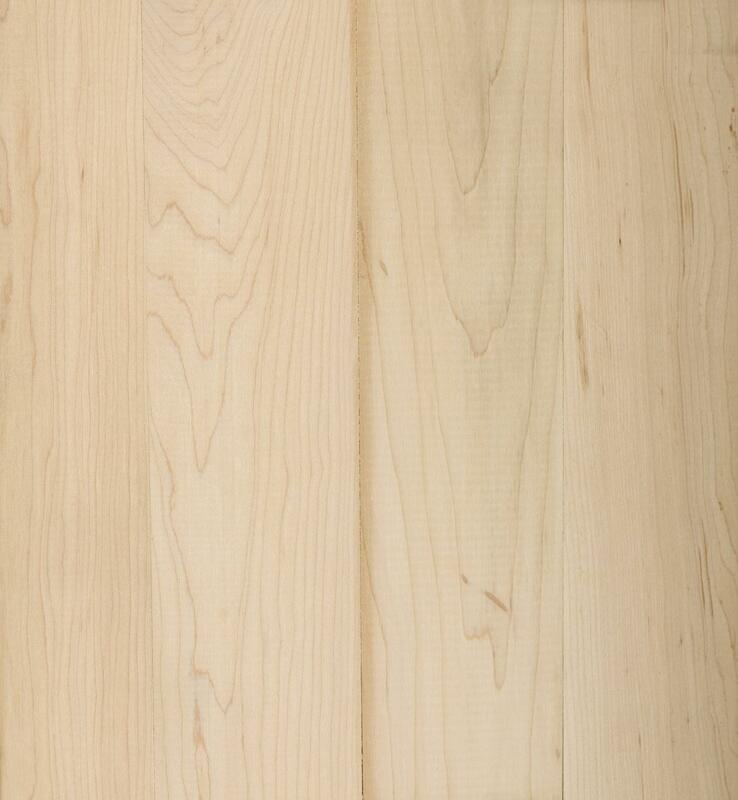 3 1/4″ Natural Hickory floors for realwoodfloors.com from the Parkview collection. 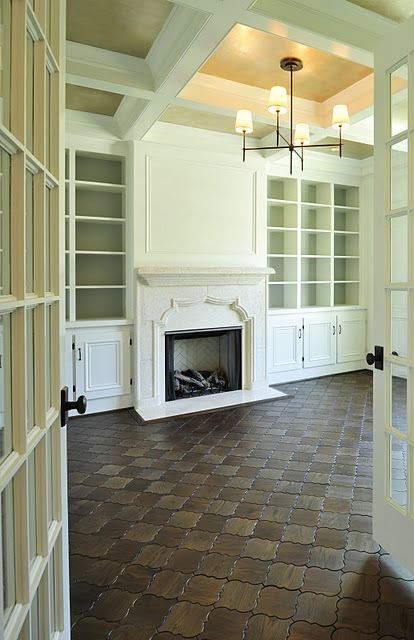 These floors exhibit tremendous presence in this interior. From the warm brown heartwood to the creamy white sapwood this floor shows its versatility in this scene from realwoodfloors.com. 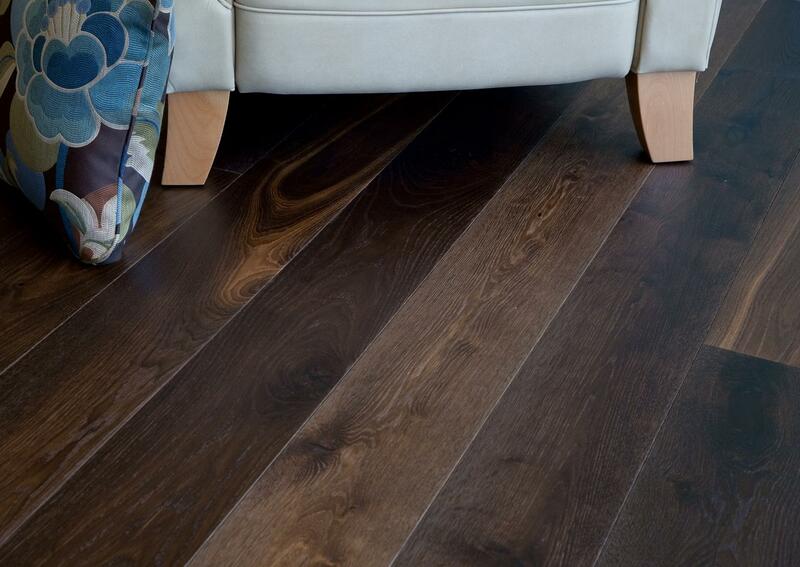 In the performance of its career, this random width oak floor takes your breath away and leaves you wanting more. 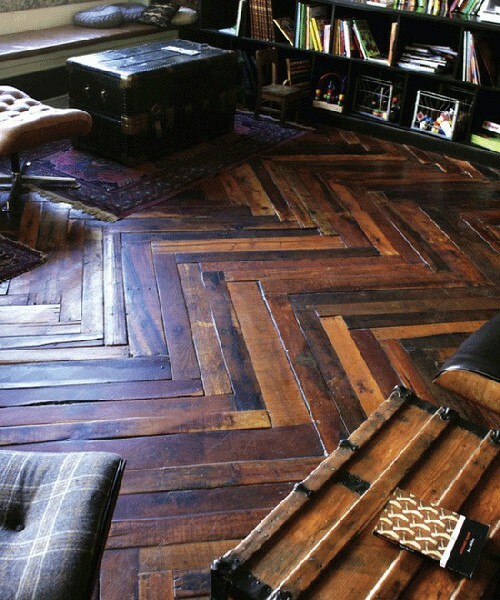 These reclaimed planks in the age-old herringbone pattern give us the come back performance of the year. This pattern has been in use for hundreds of years but never as strikingly or convincingly as this. Walnut hardwood had to completely re-create itself to play this role. Generally fashionable from its visual appearance in color and tone, this walnut floor added depth to this performance by taking the form of the parquet pattern Sextant from the jamiebeckwithcollection.com. Thanks for participating in the 2012 Trendies! 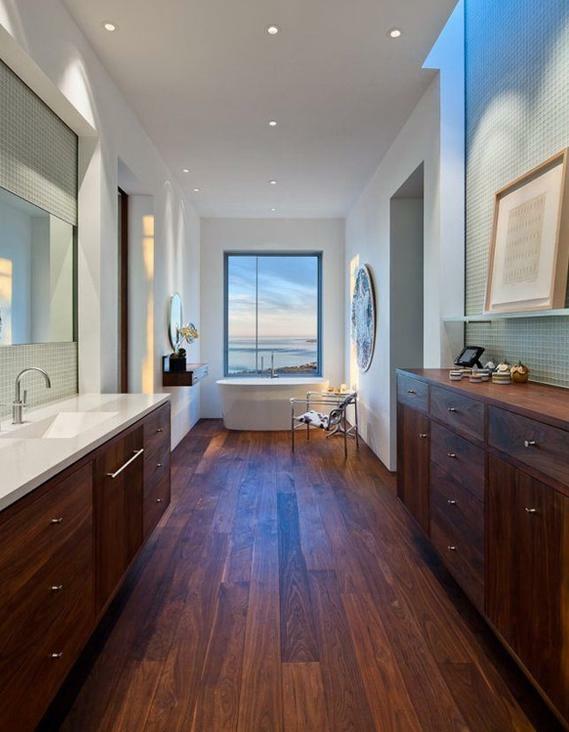 Beautiful floors and great pictures. Thanks Millie! 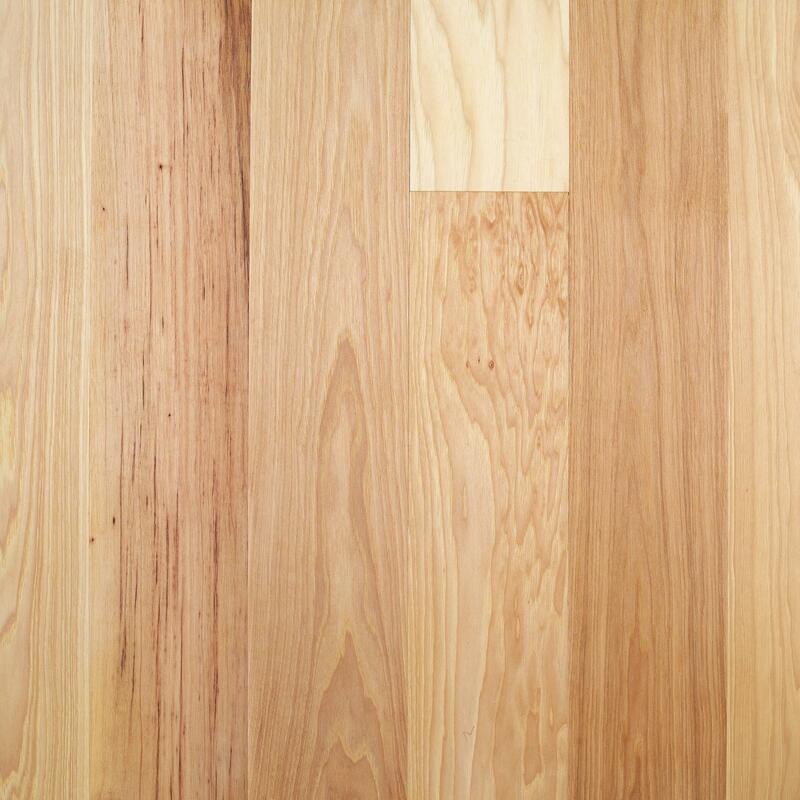 What hardwood floors are popular in Austin, TX currently?